R.C. Extreme is a simple racing game created in Unreal Engine. A few years ago, I created a racing game that was never a completed game, so I decided to use this game as an opportunity to finally make a fully functional racing game. 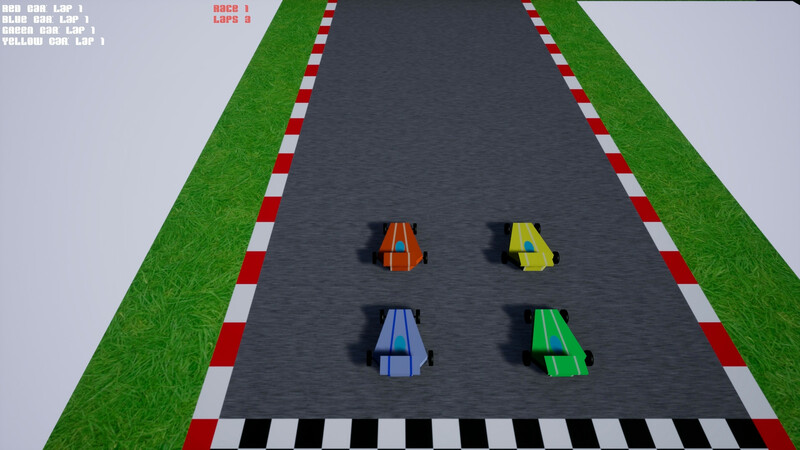 I also wanted to work with Unreal Engine again, since it’s been a while since I have made a game in the Unreal Engine editor. 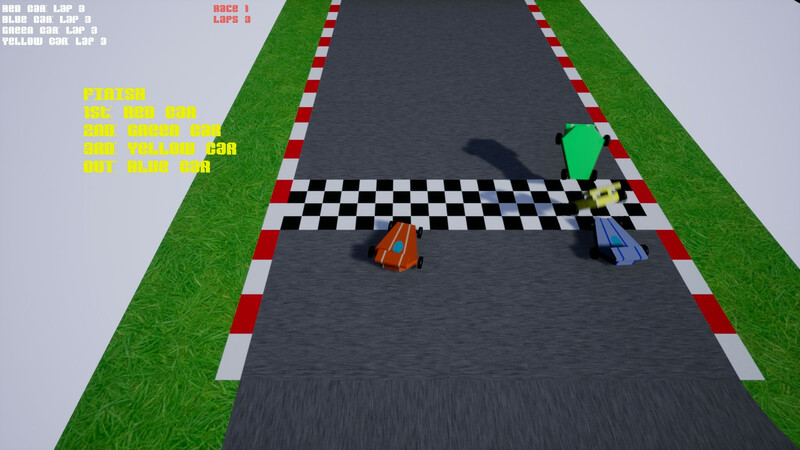 You can hear about the things that I learned with Unreal Engine on the July 2018 Knoxville Game Design show. 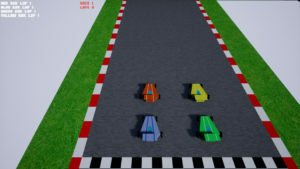 The game consists of four cars competing to finish in first place. 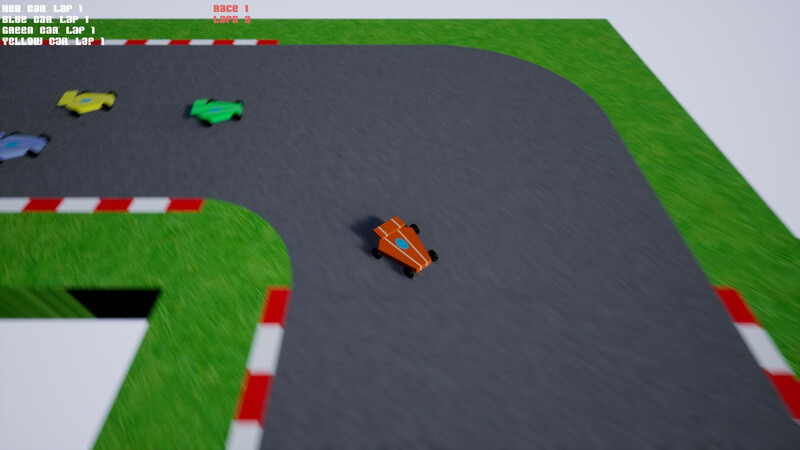 The player controls the red car, and must race around the loop for three laps. There is a ramp half way through the track. Be careful to not run off the track, as there is no way to recover. 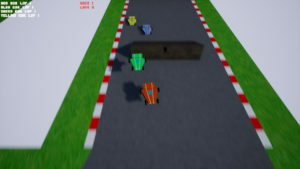 The game takes advantage of the Unreal physics engine, so make the ramp jump and collisions with other cars appear realistic. The game logic was created using the Blueprints visual scripting tool. 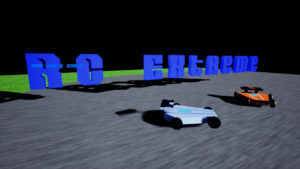 The cars models were created using Blender. The game supports both keyboard and gamepad controls. In a future release of the game, I would like to add additional tracks and a track editor.